These drops from just a few days ago with temperatures well above freezing do not tell today's story with temperatures well below freezing. It's back to wearing a few layers to fend off the cold. 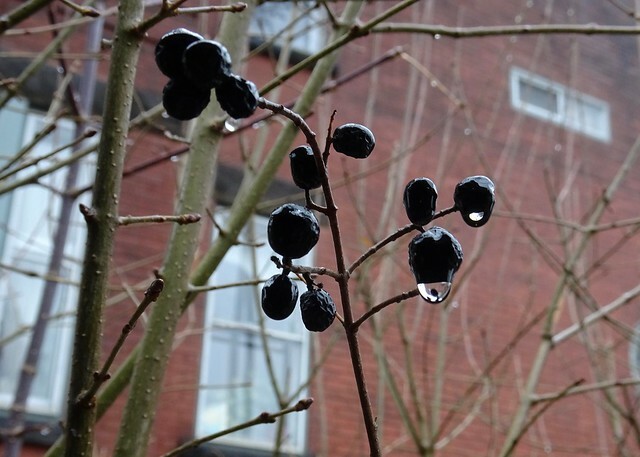 I love the way the drips hold an upside down world of their surroundings.... skinny branches and a tiny building. Our yoyo temperatures will bring back spring-like weather in a few days. For now, I will keep my fingers in my gloves and stick to indoor photos. 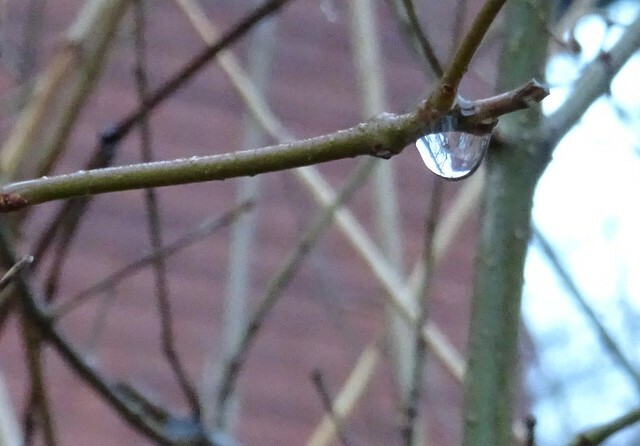 I like to see the tiny upside down world contained in a drop. I also like the phrase “yoyo temperature". Is it coined by you? A world within a world. 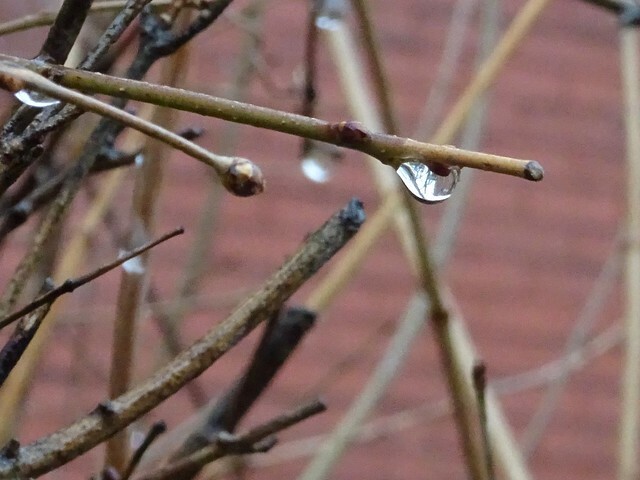 I hope you're seeing drips from melting snow now!